This lovely 3 bedroom apartment, situated in the Poble Sec area, is the perfect base for your stay in the Catalan capital. This neighborhood is a great choice for your stay, as it has plenty of amazing bars and restaurants, and you’ll also have the Raval and Sant Antoni areas nearby. With 2 metro stops nearby, you are able to get around the city quickly and easily. This apartment can accommodate up to 8 people, with 3 bedrooms and 2 bathrooms, providing you with all the space and privacy you’ll need. The apartment has recently been refurbished in a modern style with clean colors and parquet floors. This apartment comes with plenty of amenities, such as a fully equipped kitchen, a washing machine and a dishwasher. Internet connection is available in this amazing apartment and you’ll also have access to a balcony. The neighborhood of Poble Sec was the first extension built outside of Barcelona´s historic city centre. Located at the base of Montjuïc, this neighbourhood has great access to all of the attractions on the hill, such as Poble Espanyol and many more museums. The main avenue of Poble Sec is Avinguda Paral·lel, which has been one of the principal areas for activities and leisure since the end of the 19th century. This avenue is home to much of Barcelona´s nightlife with bars and clubs dotted along the street, including the popular Sala Apolo. This Barcelona ´Broadway´, rich in performance history, is currently laced with numerous theatres including the Victoria Theatre and the Teatre Condal, and is situated close to La Ciutat del Teatre and the Barcelona Teatre Musical, a stage for numerous musicals and dance shows. You can also enjoy some delicious Spanish cuisine at some of the tapas bars and restaurants in Poble Sec, and don´t miss a trip to Carrer Blai, where you can take in the lively ambience of this ´barrio´. 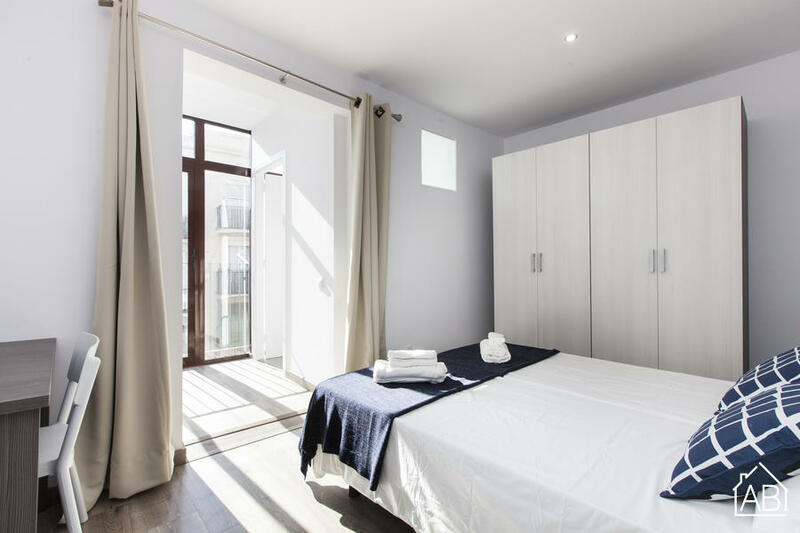 The area provides easy access to the attractions of Barcelona and its surrounding areas by public transportation, so choosing an apartment in Poble Sec is ideal for those looking to stay in an energetic area, with plenty to see and do close by.